There are a few different ways to add tips to a sale. 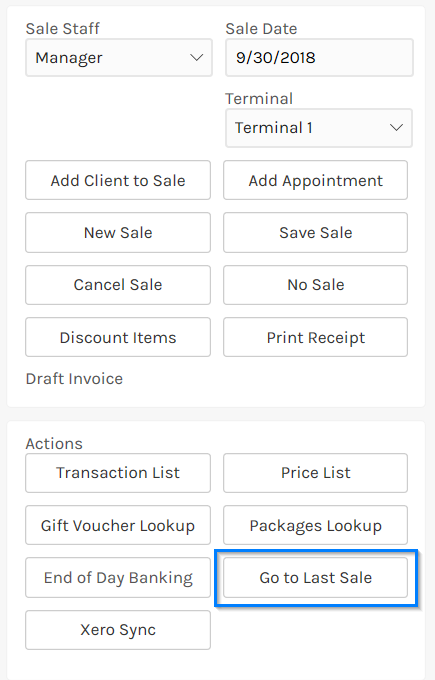 You can add them while doing a payment or after the sale is complete, depending on your workflow. 2. 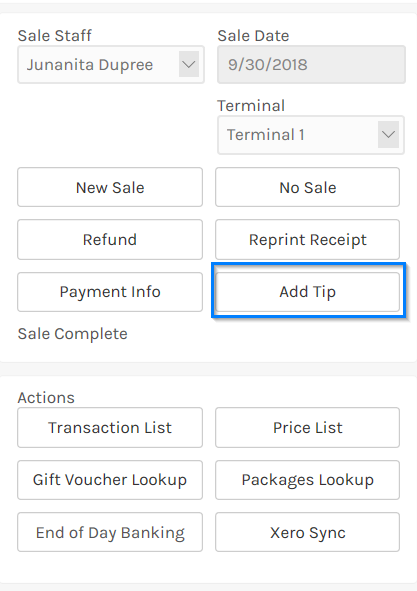 When adding the payment types (Cash, Credit Card etc) to a sale you will notice a button called Tip next each payment. If you already know the tip at this stage then you can press this Tip button, enter the amount, choose how to split it and click OK.
3. Complete the payment as you normally would. 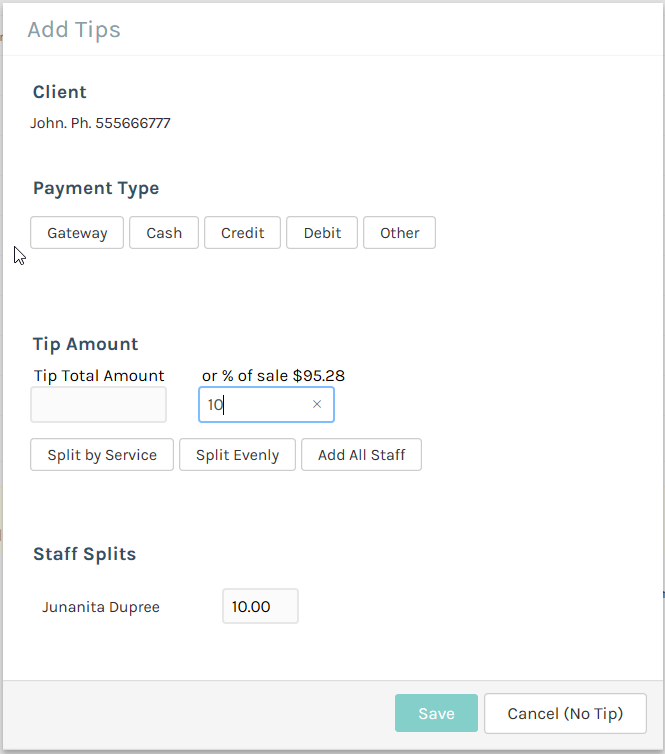 The Tip will be recorded and you later report on them or allocate them when doing the banking. 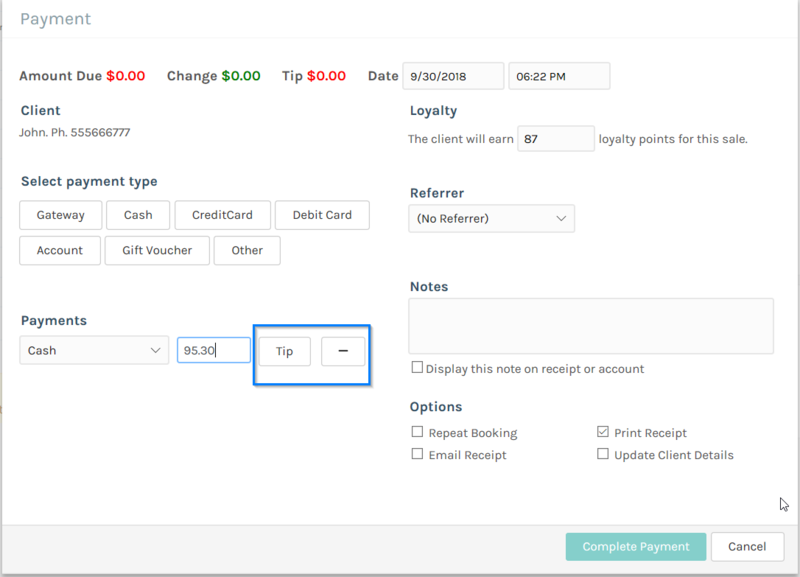 If your workflow dictates you need to add the tip after the sale is complete that is very easy as well. 1. Complete the sale and payment as you would for any normal sale. 2. Click the Go to Last Sale button on the Actions of the section.